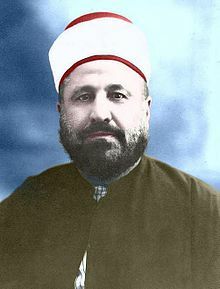 Muhammad Rashid Rida (Arabic: محمد رشيد رضا‎; transliteration, Muḥammad Rashīd Riḍā; Ottoman Syria, 23 September 1865 or 18 October 1865 – Egypt, 22 August 1935) was an early Islamic reformer, whose ideas would later influence 20th-century Islamist thinkers in developing a political philosophy of an "Islamic state". Rida is said to have been one of the most influential and controversial scholars of his generation and was deeply influenced by the early Salafi Movement and the movement for Islamic Modernism founded in Cairo by Muhammad Abduh. Rida was born near Tripoli in Al-Qalamoun, (now in Lebanon but then part of Ottoman Syria within the Ottoman Empire). His early education consisted of training in "traditional Islamic subjects". In 1884–5 he was first exposed to al-`Urwa al-wuthqa, the journal of Jamal al-Din al-Afghani and Muhammad Abduh. In 1897 he left Syria for Cairo to collaborate with Abduh. The following year Rida launched al-Manar, a weekly and then monthly journal comprising Quranic commentary at which he worked until his death in 1935, gradually distancing himself from the teachings of Abduh and adopting a Salafism closer to Saudi Wahhabism. Rashid Rida, was a leading exponent of Salafism  and was especially critical of what he termed "blind following" of traditional Islam. He encouraged both laymen and scholars to interpret the primary sources of Islam themselves. Applying this principle enabled Rida to tackle a number of subjects in a modern way and sometimes led to him holding unorthodox ideas that were considered controversial by some and progressive by others. One of his controversial views was his support of Darwin's theory of evolution. To justify Darwinism, Rida considered it permissible to "interpret certain stories of the Qur'an in an allegorical manner, as, for example, the story of Adam.". He also believed that the origin of the human race from Adam is a history derived from the Hebrews and that Muslims are not obliged to believe in this account. - His idea that building statues is permissible in Islam as long as there is no danger of their being devoted to improper religious uses. - His view that "the minute living bodies which today have been made known by the microscope and are called microbes, may possibly be a species of Jinn"
Rida focused on the relative weakness of Muslim societies vis-à-vis Western colonialism, blaming Sufi excesses, the blind imitation of the past (taqlid), the stagnation of the ulama, and the resulting failure to achieve progress in science and technology. He held that these flaws could be alleviated by a return to what he saw as the true principles of Islam albeit interpreted (ijtihad) to suit modern realities. This alone could, he believed, save Muslims from subordination to the colonial powers. Rida had a close relationship with Freemasonry, though his feelings toward the Bahá'í Faith were quite negative. Despite some controversial ideas held by Rida, his works and in particular his magazine al-Manar spread throughout the Muslim world influencing many individuals including the popular Salafi writer Muhammad Nasiruddin al-Albani. Muhammad Rashid Rida was one of the earliest critics of Zionism and wrote an article on the Movement as early as 1898. Rida died on his way back to Cairo from Suez, where he had gone to see off his patron, King of Saudi Arabia Abdulaziz Ibn Saud. The corruption and tyranny of Muslim rulers ("caliphs") throughout history was a central theme in Rida's criticisms. Rida, however, celebrated the rule of the Prophet Mohammad and the Rightly Guided Caliphs, and leveled his attacks at subsequent rulers who could not maintain Prophet Mohammad's example. He also criticized the clergy ("ulama") for compromising their integrity - and the integrity of the Islamic law ("sharia") they were meant to uphold - by associating with worldly corrupt powers. Rida's ideas were foundational to the development of the modern "Islamic state". He "was an important link between classical theories of the caliphate, such as al-Mawardi's, and 20th-century notions of the Islamic state". shari'a consists of `ibadat (worship) and mu'amalat (social relations). Human reason has little scope in the former and Muslims should adhere to the dictates of the Qur'an and hadith. The laws governing mu'amalat should conform to Islamic ethics but on specific points may be continually reassessed according to changing conditions of different generations and societies. ^ a b c d Arthur Goldschmidt (2000). Biographical Dictionary of Modern Egypt. Lynne Rienner Publishers. p. 166. ISBN 9781555872298. ^ "He began to specialize in the field of Hadith and its related sciences by the age of 20 -- being influenced by articles in Al-Manar magazine." Prophet's Prayer (Sallallaahu 'Alaihi Wasallam) Described from the Beginning to the End as Though You See it, introduction, p4. ^ Ayubi, Nazih N.; Hashemi, Nader; Qureshi, Emran (2009). "Islamic State". In John L. Esposito (ed.). The Oxford Encyclopedia of the Islamic World. Oxford: Oxford University Press. ^ Ana Belén Soage, "Rashid Rida's Legacy". The Muslim World 98/1 (Jan. 2008), pp. 1-23. ^ Daniel Ungureanu, Wahhabism, Salafism and the Expansion of Islamic Fundamentalist Ideology, p146. ^ Charles C. Adams, Islam and Modernism in Egypt, p.187. Also, Rashid Rida, al-Manar, vol 8. no. 581, 582. ^ Rashid Rida, al-Manar, vol 7, no. 483. ^ Juan Cole, Muhammad `Abduh and Rashid Rida - A Dialogue on the Baha'i Faith. World Order (journal), vol. 15, nos. 3-4 (Spring/Summer 1981): pp. 7-16. ^ Richard Gauvain, Salafi Ritual Purity: In the Presence of God, Introduction, p.9. Prophet's Prayer (Sallallaahu 'Alaihi Wasallam) Described from the Beginning to the End as Though You See it, introduction, p4. "He began to specialize in the field of Hadith and its related sciences by the age of 20 -- being influenced by articles in Al-Manar magazine." ^ Rida, Muhammad Rashid. 1934. Al-Khilafa aw al-Imama al-Uzma [The caliphate or the great imamate]. Cairo: Matba'at al-Manar bi-Misr, p. 57-65. ^ Eickelman, D. F., & Piscatori, J. (1996). Muslim politics. Princeton: Princeton University Press, p. 31.